Porcelain veneers are a very popular cosmetic treatment that helps restore the beauty to your smile. Porcelain veneers are ultra-thin shells and closely match the natural color of your teeth, so they are undetectable, they are highly resistant, and the properties of the porcelain mimic the shine of natural teeth. Veneers are bonded to the surface of your teeth to cover minor imperfections such as stains, cracks or chips. Porcelain veneers are very effective because not only will they enhance your appearance and the beauty of your smile, but they are also made of very strong materials so you can have full functionality too. It may take two to three visits for the cosmetic treatment to be completed. The veneers are then bonded to your teeth with a special cement and adjusted for a comfortable fit. Good oral hygiene is strongly recommended to maintain your porcelain veneers and avoid any staining or chipping. Refrain from foods and drinks that might stain or chip your veneers such as tobacco, wine, coffee and very hard foods. Do You Want to Restore the Beauty to Your Smile? Call Polaris Dental Care at (614) 758-6522 today to schedule an appointment and find out if porcelain veneers can help make you smile more confidently! 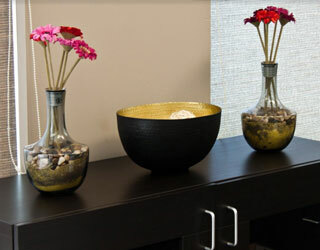 "Very pleased with the details I was furnished from the time my appointment began to when I left. The entire staff was very friendly and very detailed in their explanations."